A dark and twisted psychological tale, which Kirkus Reviews called "captivating to the very end" in a starred review—perfect for fans of I Hunt Killers and Gone Girl. Max Cantrell has never been a big fan of the truth, so when the opportunity arises to sell forged permission slips and cover stories to his classmates, it sounds like a good way to make a little money. 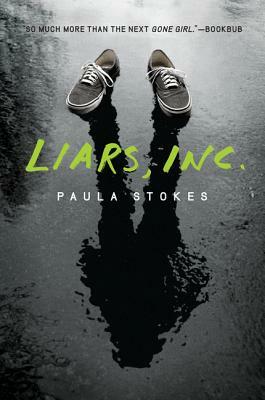 So with the help of his friend Preston and his girlfriend, Parvati, Max starts Liars, Inc. Suddenly everybody needs something, and the cash starts pouring in. Who knew lying could be so lucrative? When Preston wants his own cover story to go visit a girl he met online, Max doesn't think twice about it. But then Preston never comes home. And the evidence starts to pile up—terrifying clues that lead to Preston's body. Terrifying clues that point to Max as the killer…. Paula Stokes is the author of Hidden Pieces; This Is How It Happened; Girl Against the Universe; Liars, Inc.; and The Art of Lainey. Paula lives in Portland, Oregon. You can find her online at www.authorpaulastokes.com or on Twitter and Instagram @pstokesbooks.